Hey, a “gamers on the couch” comic! Never thought I’d see the day. 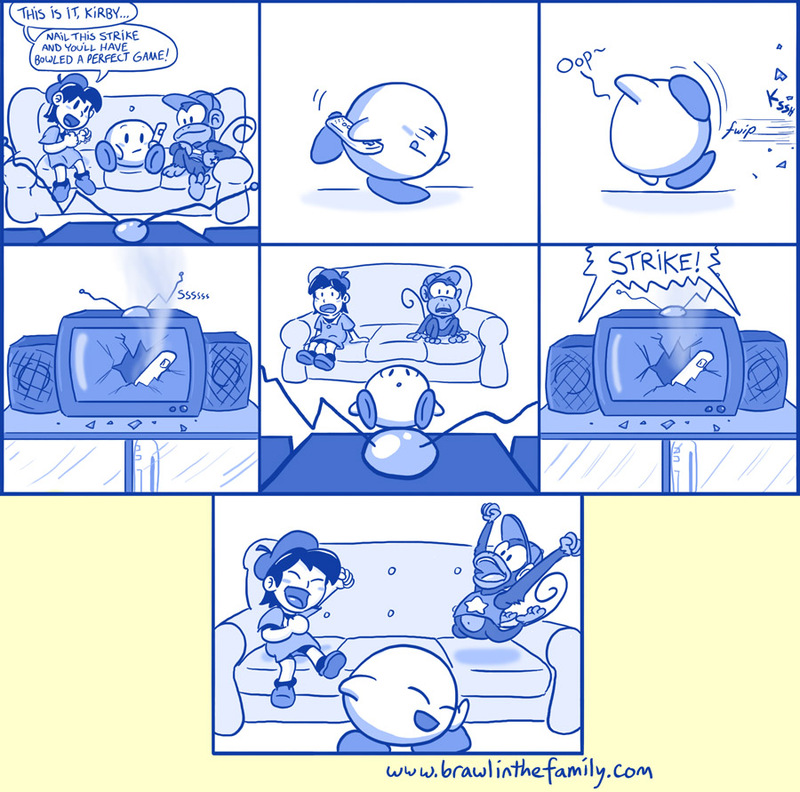 I like to think the expressions in the fifth panel have nothing to do with the busted TV, and merely represent the characters’ waiting for the bowling results. Keep those wrist straps on, kids.